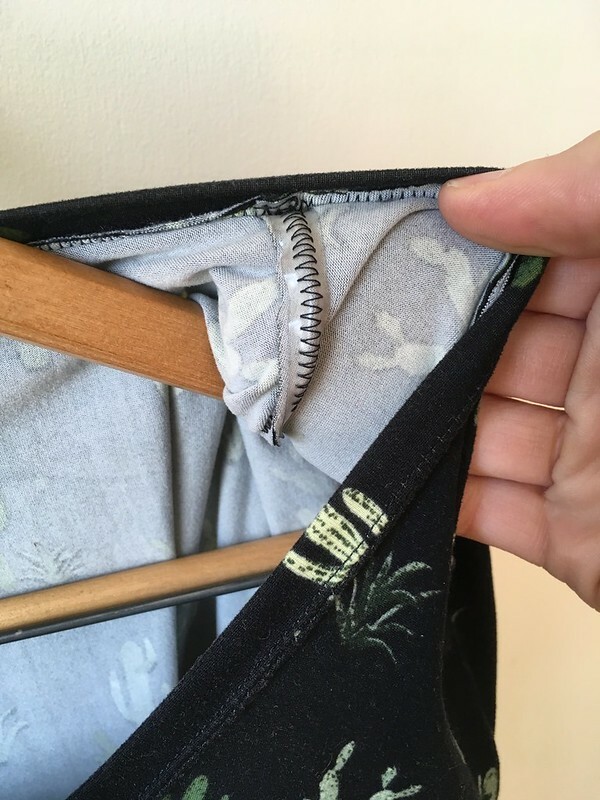 Hi, sewing friends! 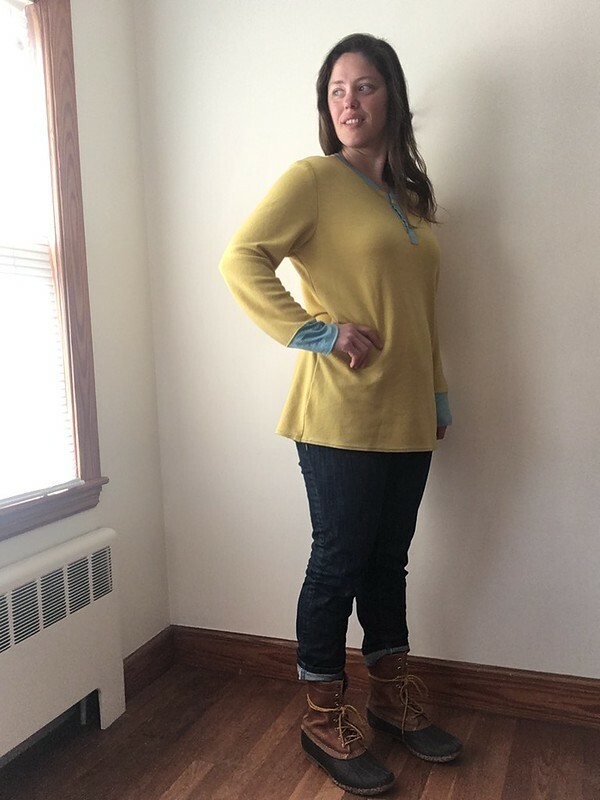 It’s finally time for the last of my winter sewing…and by that I mean projects I sewed during the winter, not necessarily projects that are just right for cool weather. 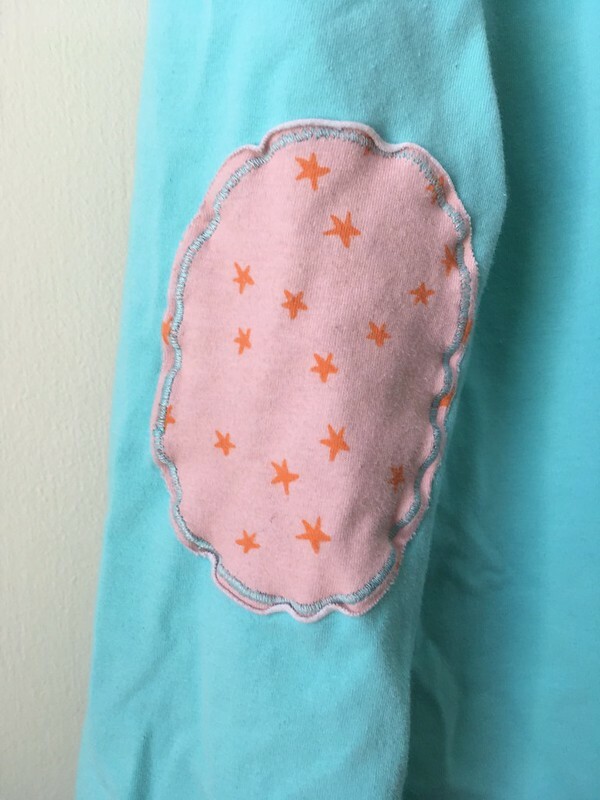 Spring is cold here, so I’m currently sewing sweatshirts. I’m happy to wrap up the winter-time sewing, though. 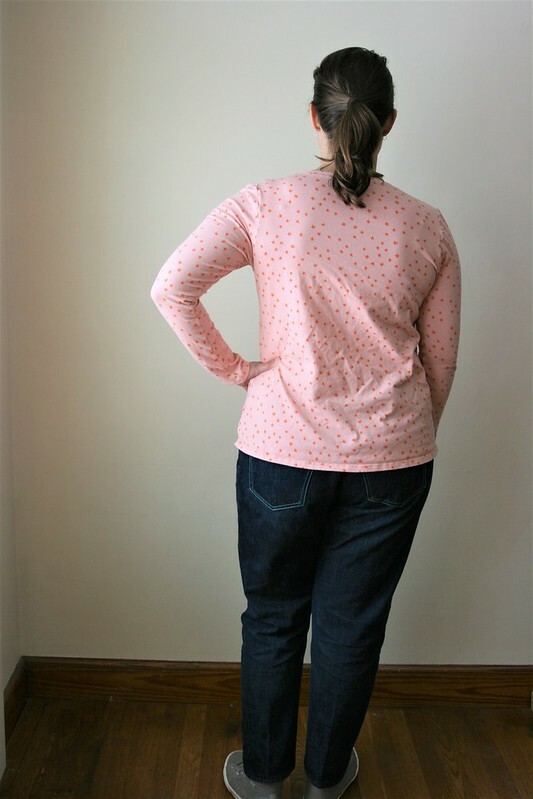 I’m combining all these projects into one post because I have blogged both of these patterns before. My two Plantain Tees are here. 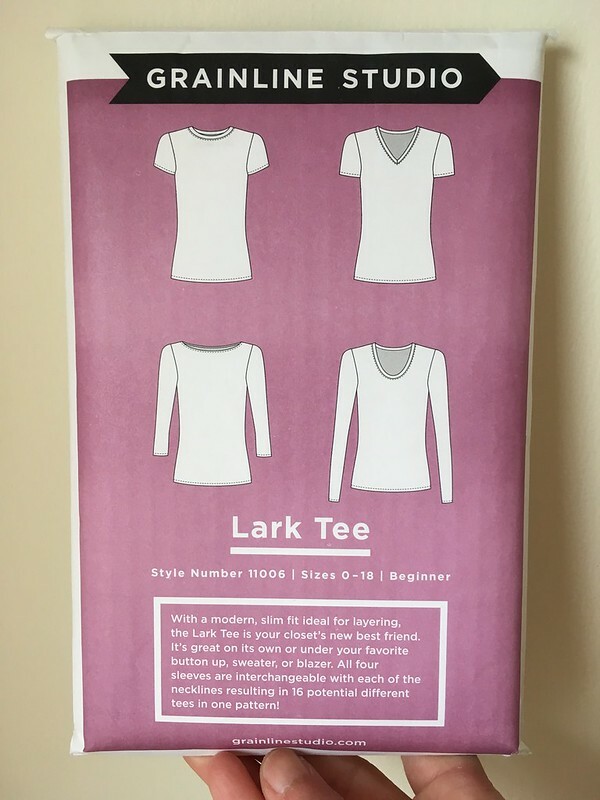 The Lark Tees are here: short-sleeved v-neck, short-sleeved crew neck, long-sleeved scoop neck. 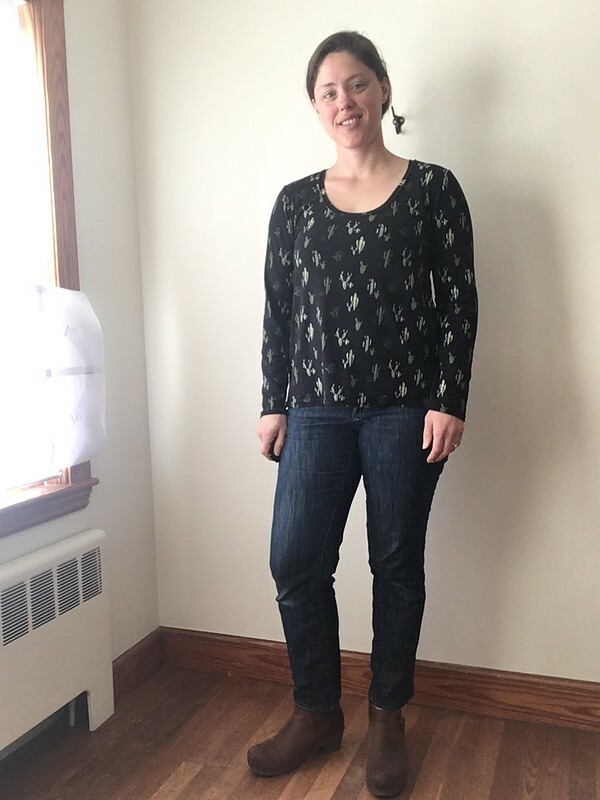 Today I have three Plantain Tees, a free pattern from Deer & Doe Patterns (and my current favorite t-shirt pattern) and one crew-neck Lark Tee, a pattern from Grainline Studio. I feel mixed about the Lark, but I keep making it because it has so many options. 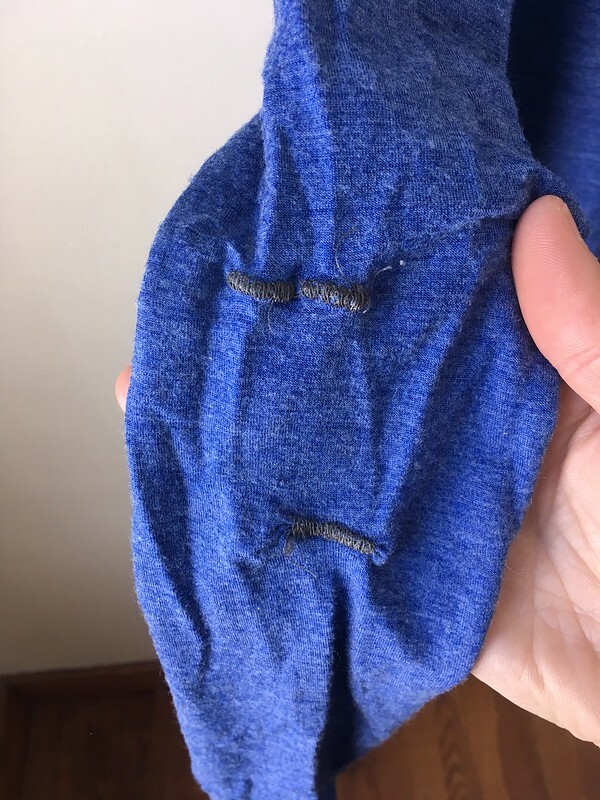 I used to think that I never wanted to sew t-shirts when they were so readily available and inexpensive, but they are a really quick and satisfying sew, a perfect project after sewing more complex or time-sensitive things (like Christmas presents). Now I’m converted. These were the first things I sewed after Christmas. My t-shirt drawer needed some more options, and I found some interesting fabric for my projects. 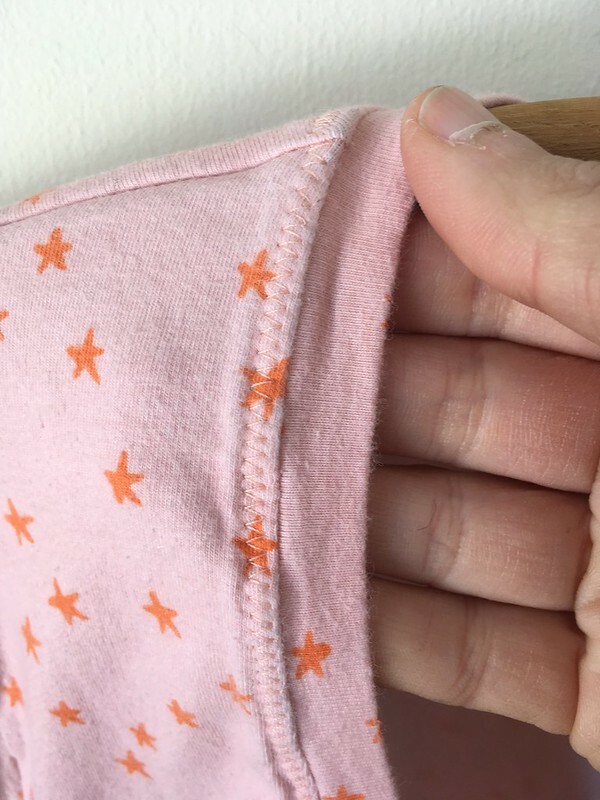 The two star-print t-shirts (the pink and orange is a Plantain and the black and white is the Lark) are cotton/spandex knits from Cotton + Steel that I got at Pintuck & Purl. The black and white is softer, but also attracts more hair in the washer and dryer. The pink fades very slightly at the seams. I really like both as I love a good star print, and they get lots of wear. I used some scraps from the pink and orange Plantain to add contrast elements to this sky blue Plantain. 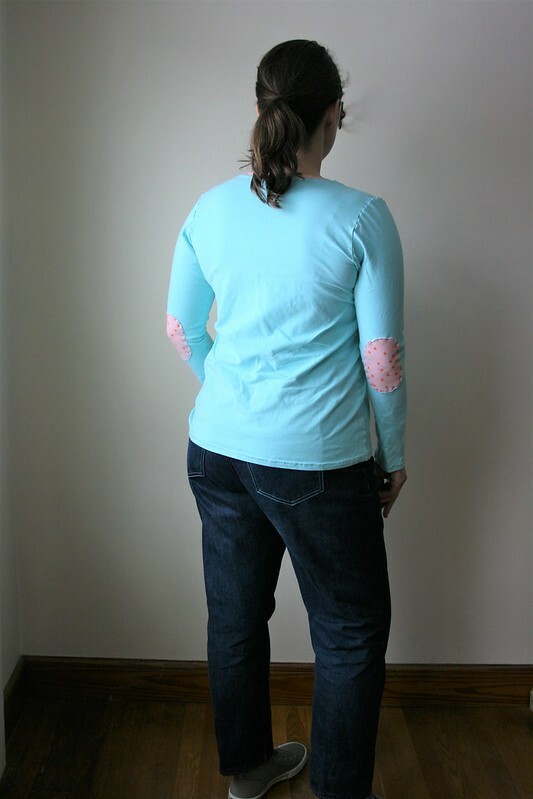 The elbow patches are included with the pattern. 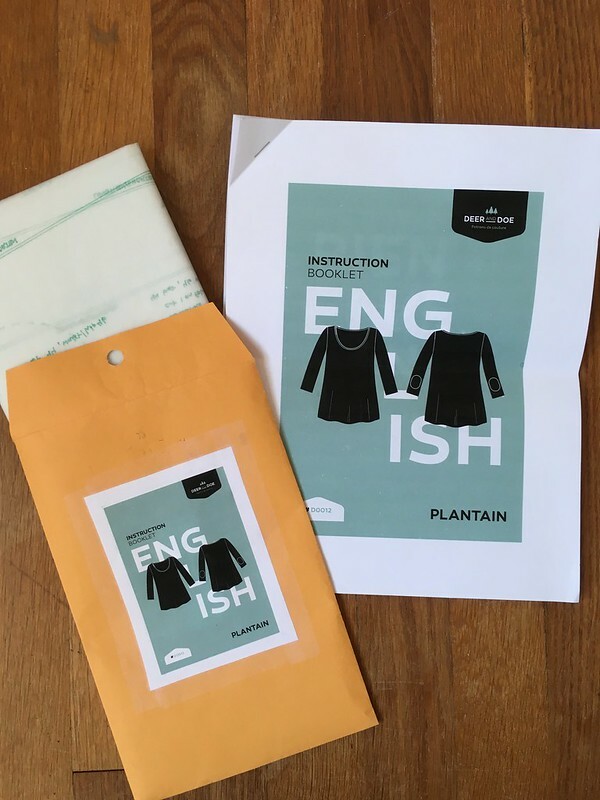 The last Plantain Tee is made from a wool jersey from Fabric Mart. It’s really soft, and I love the color. 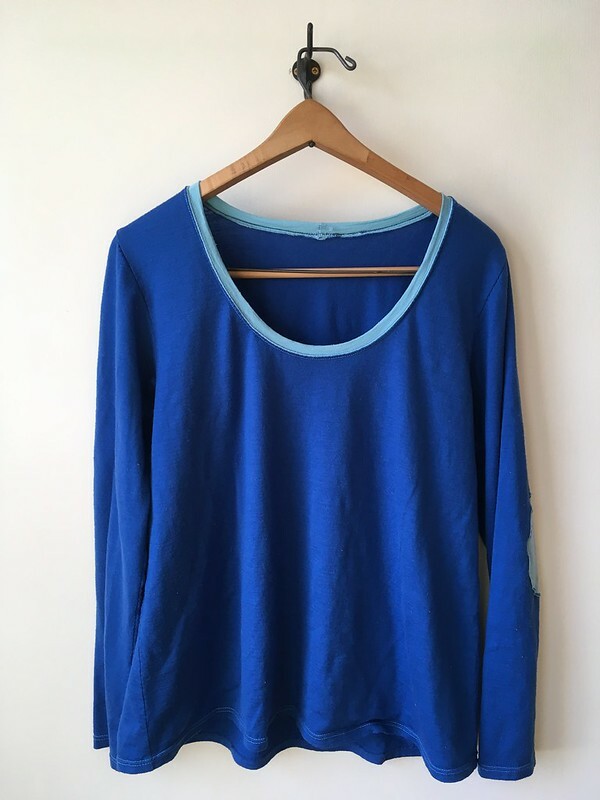 It is thin, but not see-through. I wear this one a lot, too (like right now, while I’m typing this!). 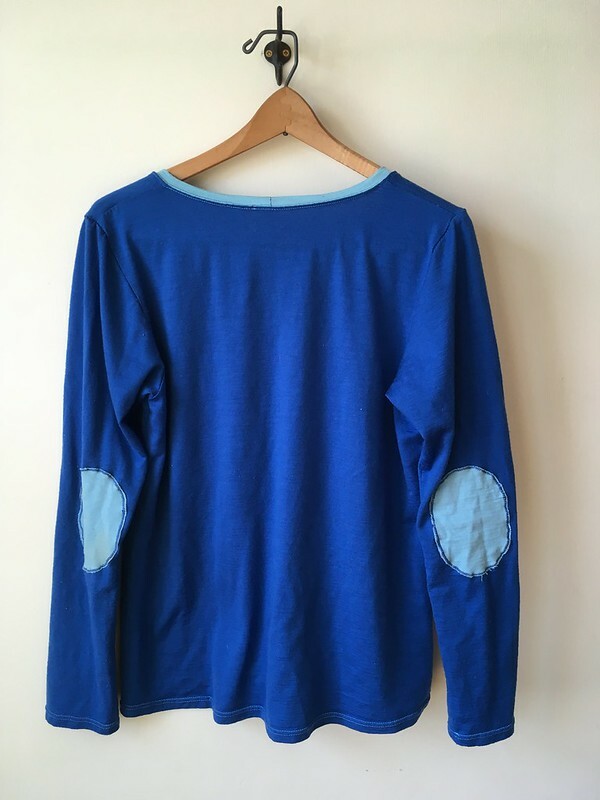 I found a few small holes in one arm that I tried to fix (and probably made things worse). I have no idea if this is how the fabric came or if it’s from my washer. They were so tiny, I probably should have just left them, but oh well. As with all of these fabrics, I prewashed and dried them in the washer and dryer before cutting and sewing the fabric, so they are all easy care, and I don’t have to worry about shrinkage or special treatment. As far as construction, I don’t feel my results with a twin needle have been as durable as I would like. 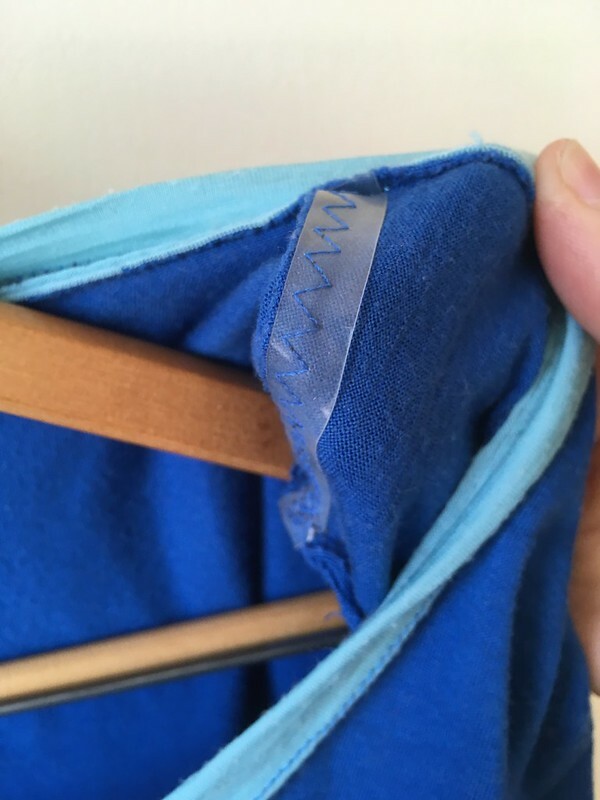 The hems that I have used a twin needle on often come apart after awhile. 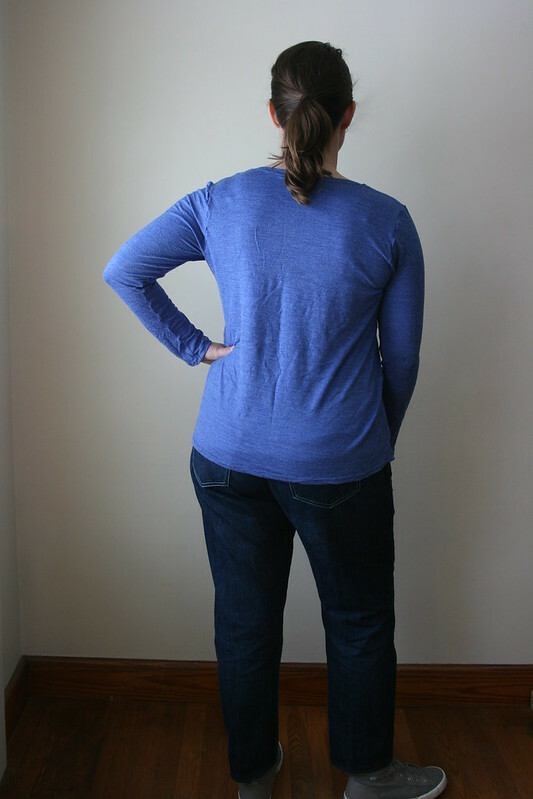 Since I didn’t feel like trouble-shooting that this time, I used a zigzag for all the shirts–construction seams and hems. 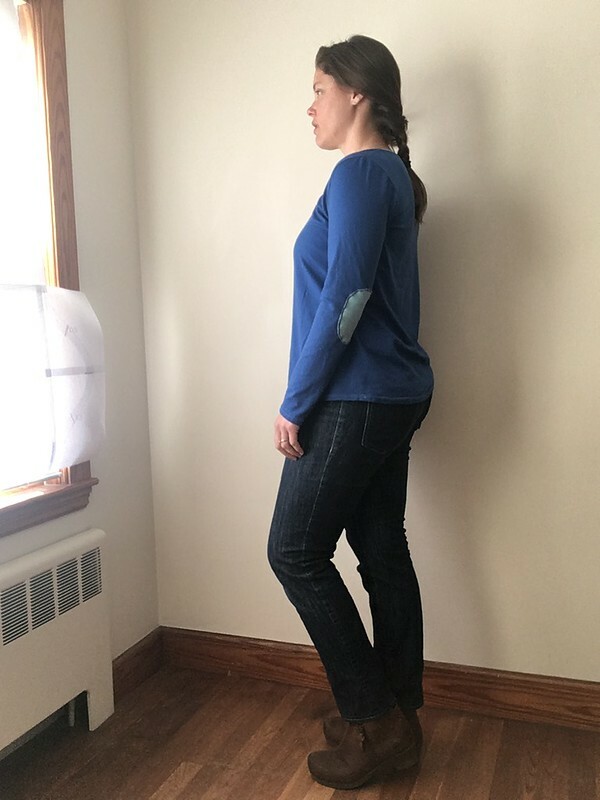 I don’t worry about finishing my edges (other than hemming) or think much about fine-tuning the fit on these shirts, since the knits all stretch. I like the fit on both patterns, although the Lark is long, and I prefer the fit of the Plantain. 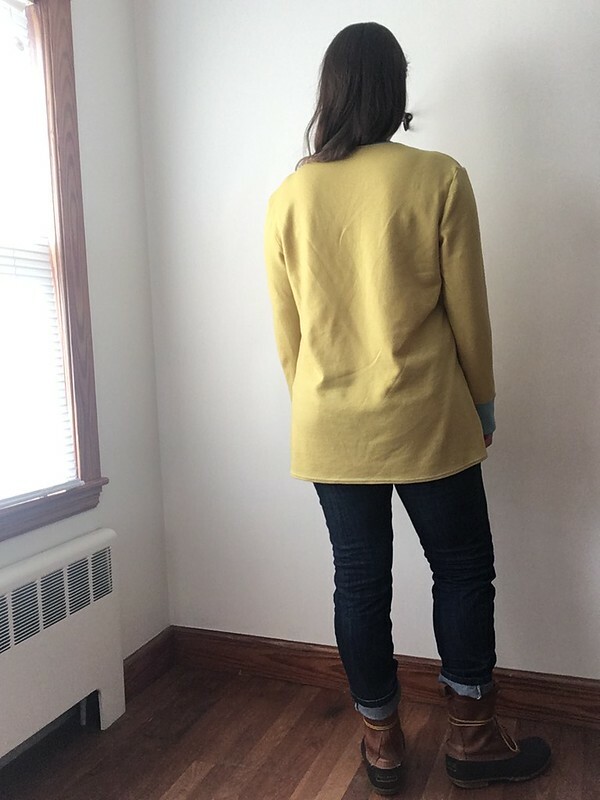 I sewed the Lark to the original length, because I figured if it was really too long, I could chop it off later (I actually hate going back to old projects, but let’s just pretend I would do this). So far, it doesn’t bother me too much. 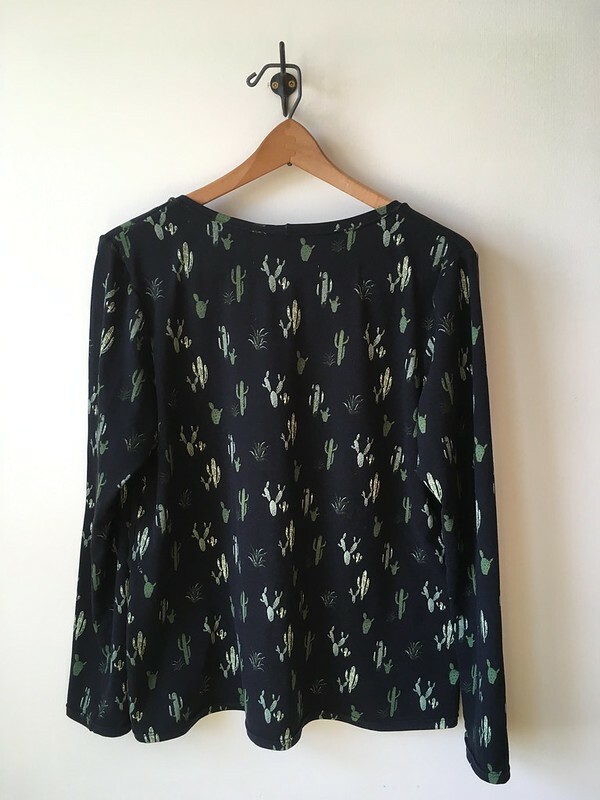 For me, the success or failure of each Lark I have made has hinged on fabric choice since I go back and forth on how much I like the silhouette of this pattern. I have been happy with all my Plantains. I’m really glad to have all of these in my wardrobe, adding color and options. 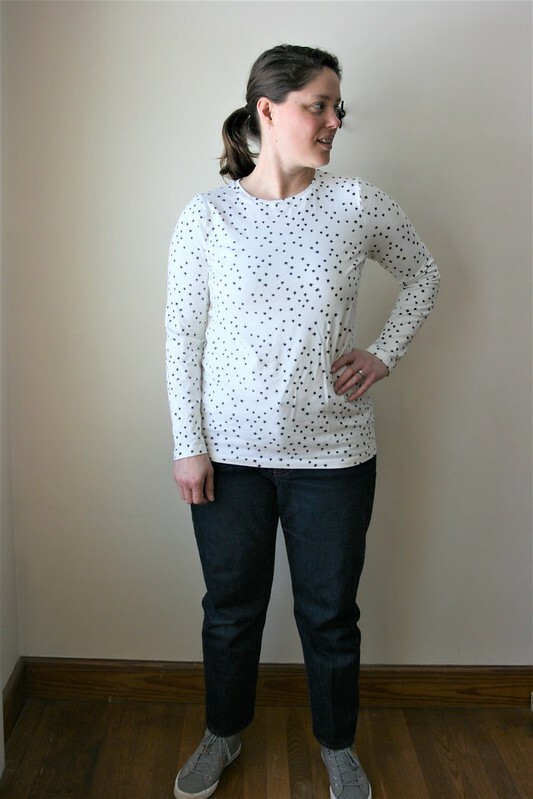 In the future, I would love to try the Stellan Tee, another free t-shirt pattern, from French Navy. I bought more of the black and white star print in the hopes that I will be able to make it this summer. 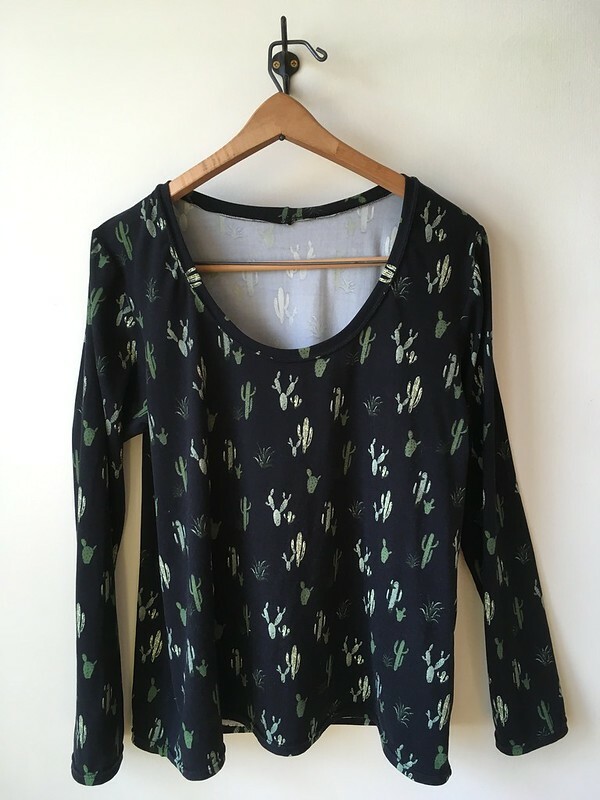 Do you have a favorite t-shirt pattern? If so, leave it in the comments. I love new pattern ideas! 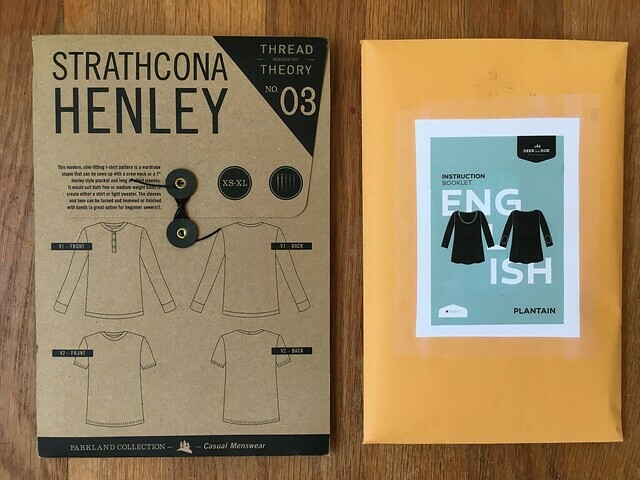 Strathcona + Plantain=A Strathcona Henley for Me! Today’s project is one I’ve wanted to make for a long time. And I finally did it! It’s a Strathcona Henley for me! 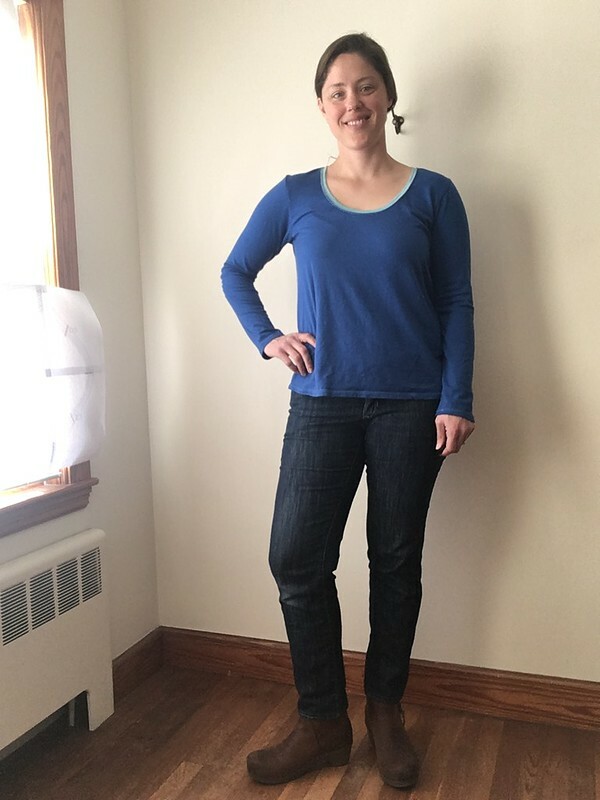 I love a rugged, outdoorsy look, and part of that look for me is the henley shirt, which is a t-shirt with set-in sleeves or raglan sleeves and a partial placket in front. 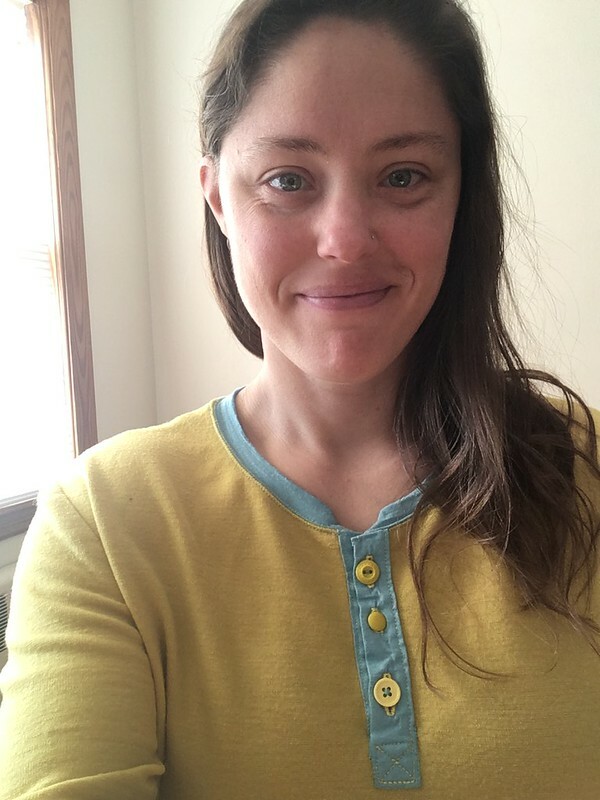 I’ve long liked this style, and after making a Strathcona Henley from Thread Theory for my husband in 2016, I wanted one for myself. I looked around and never found the right women’s pattern, so I decided to adapt this men’s pattern. 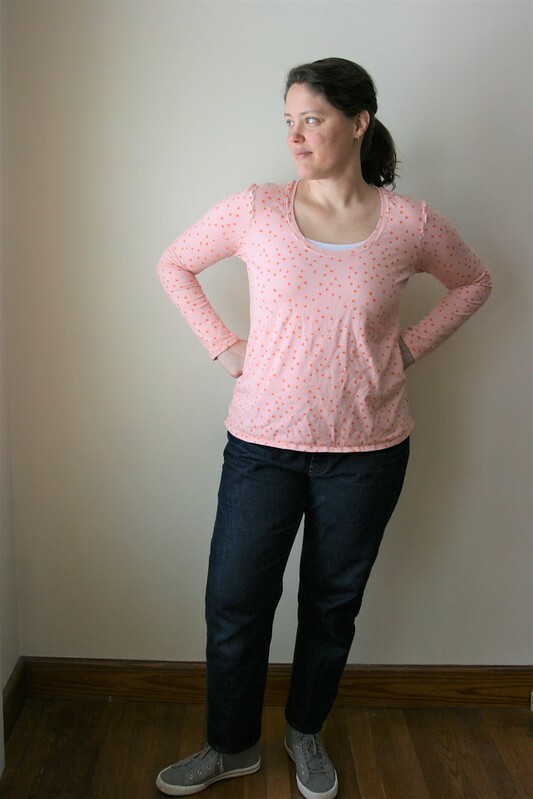 After making the Plantain T-shirt, a free pattern from Deer and Doe (coming soon to a blog near you! 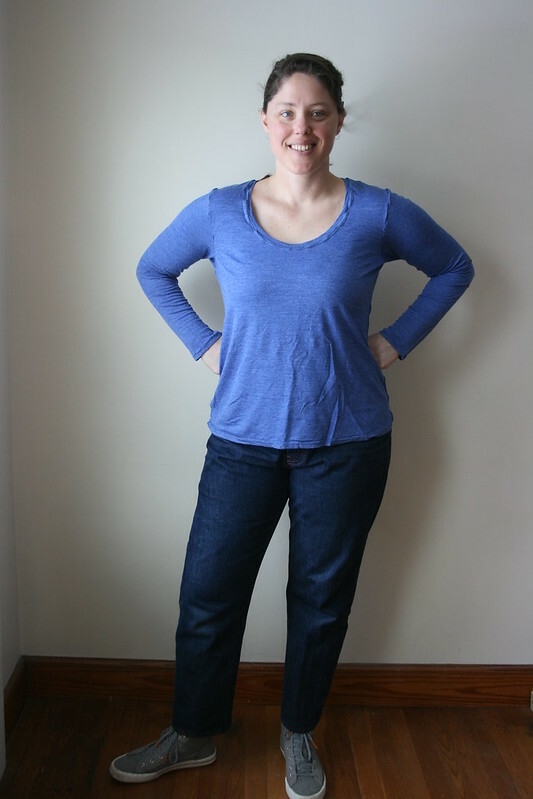 ), I realized it would work well for the hip size that I would need to use to make the Strathcona fit me. 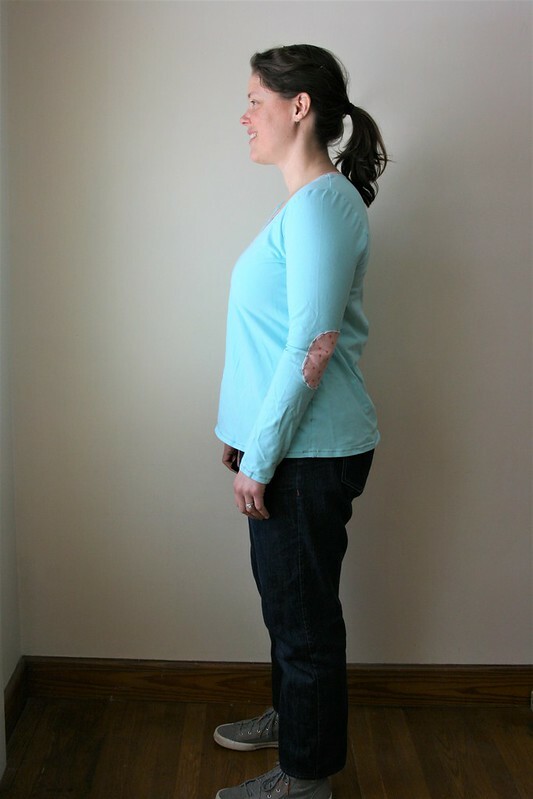 Here’s what I did: I used the top of the Strathcona Henley Variation 1 (size XL) for the shoulders, chest, waist, and length. 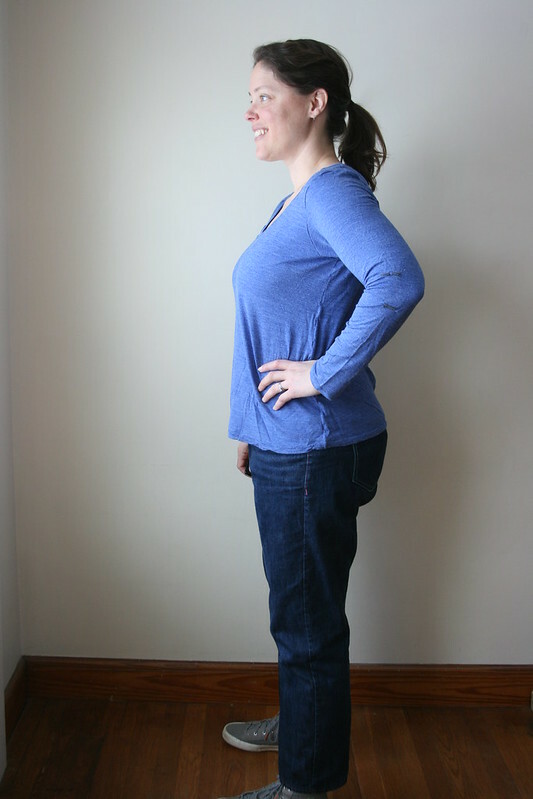 I used the Plantain T-shirt (size 46) for the width at the hips. 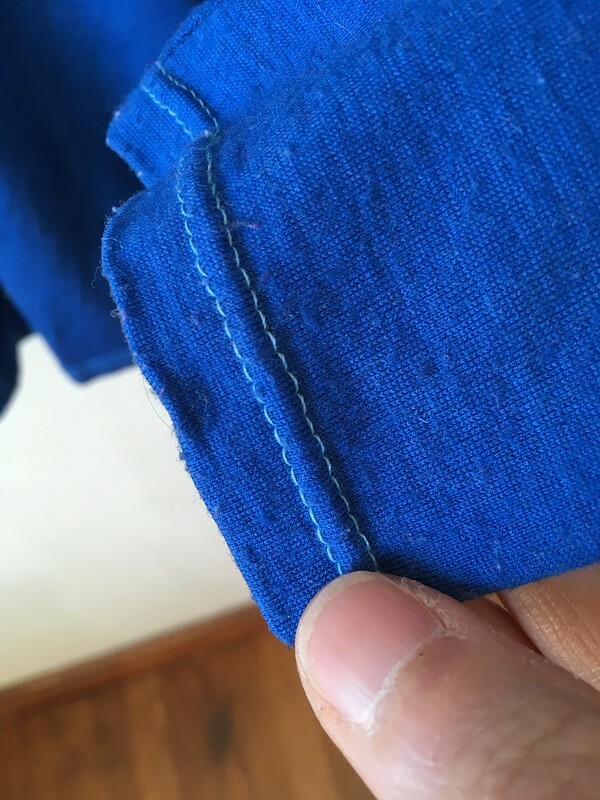 I also shortened the sleeves of the Strathcona by 3.75″, which is approximately the length of the original sleeve minus the cuff. I basically moved the cuff up. I also omitted the hem band, just folding the bottom edge up once and hemming. 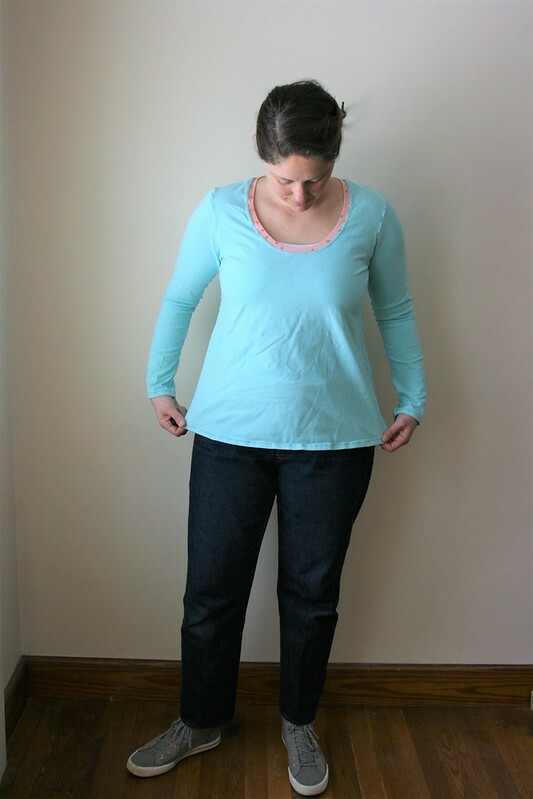 Notes on a few specific steps: The placket was tricky. 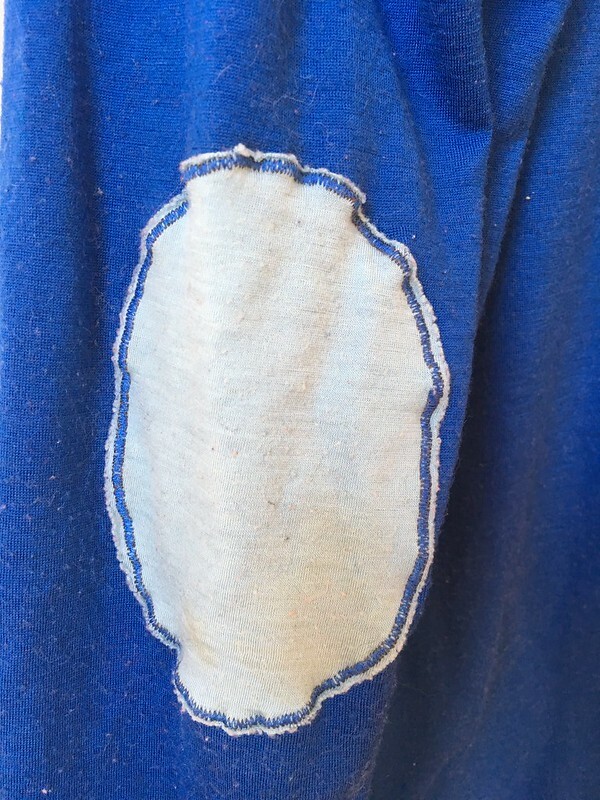 I definitely recommend hand basting the placket in place, and it wouldn’t be a bad idea to interface it. 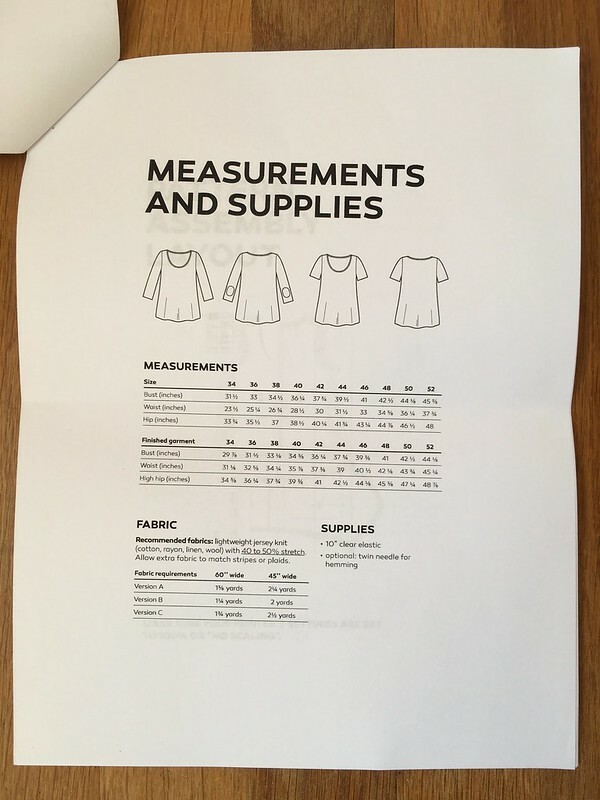 I think Step 8 should probably say that you should be looking at the RIGHT side of the garment and placket after flipping the placket through, and Step 17 should say to close BOTH ends of the binding in the second sentence. 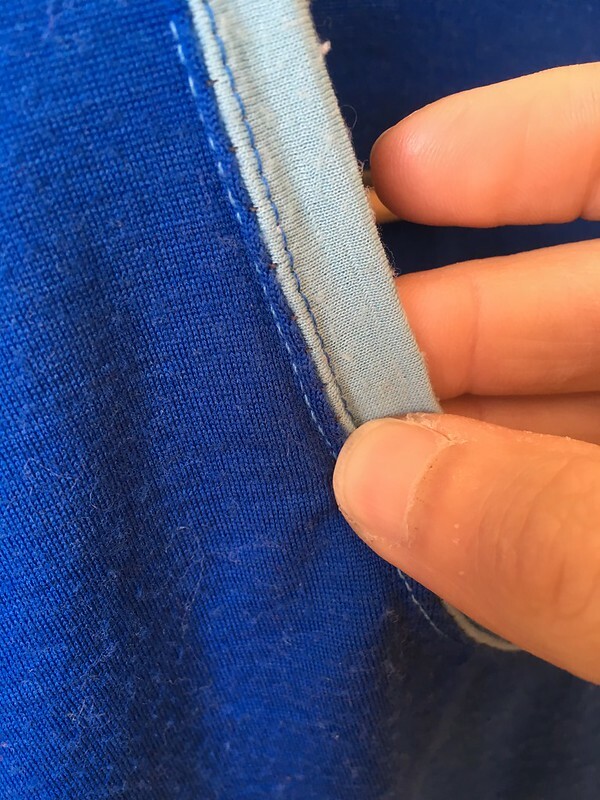 It’s also important to note that if you do the angle-ended neck band, the point will not match the end of the placket unless you stretch it about 5/8″ beyond the placket. 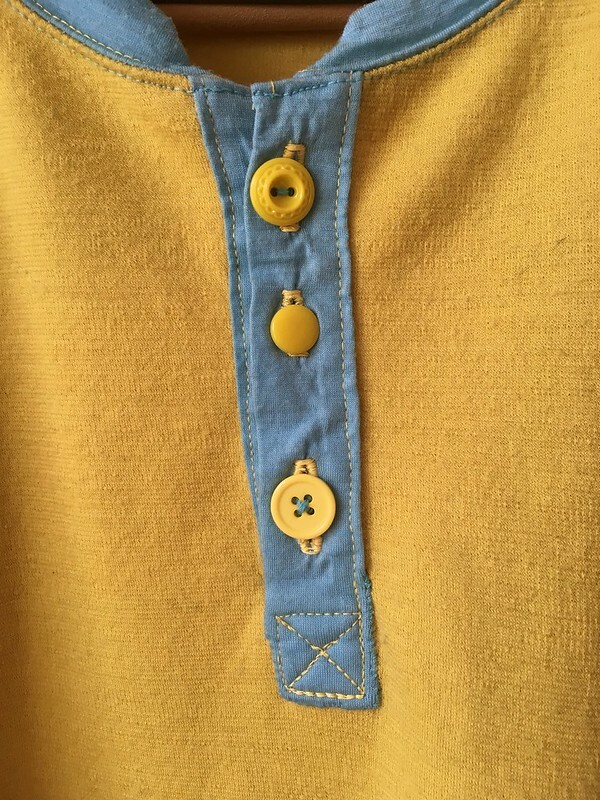 However if you leave it as is (a bit short of the end of the placket), it will form a nice V shape when the placket is buttoned. 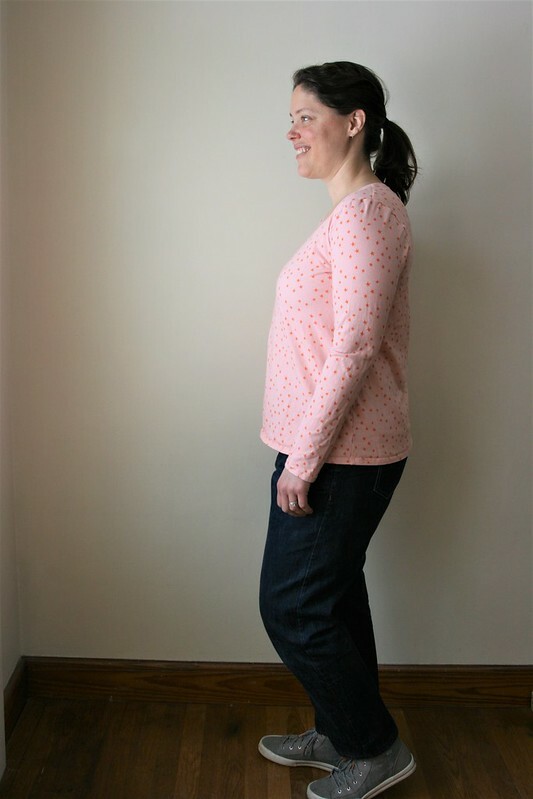 Fabric and pattern notes: I bought my pattern at Pintuck & Purl back when I made my husband’s version. All fabric for this shirt was a birthday gift from my parents. They let me pick it out from Fabrications in Richland, MI. 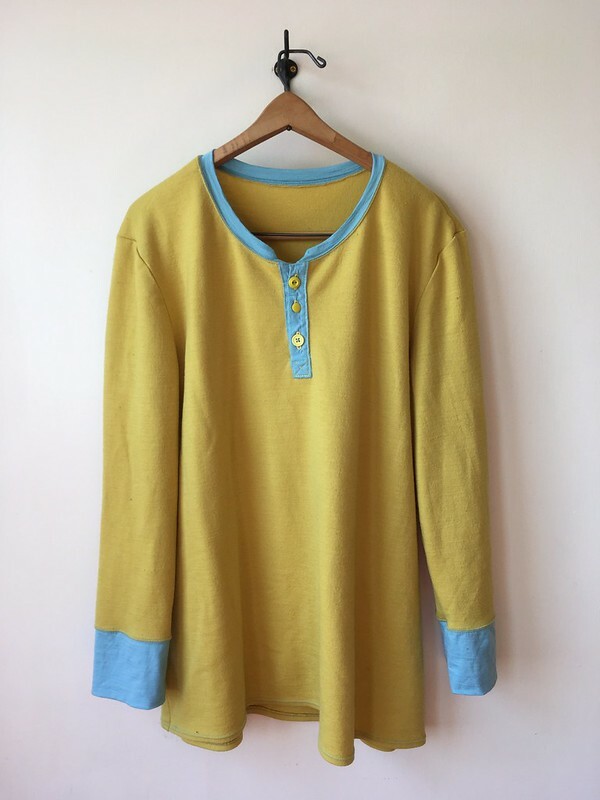 The main part of the shirt is a maize wool/Lycra ponte and the cuffs, neckband, and placket are a light blue merino jersey, both of which are a washable wool (and both no longer on the website). I can’t say enough good things about the customer service from Fabrications. 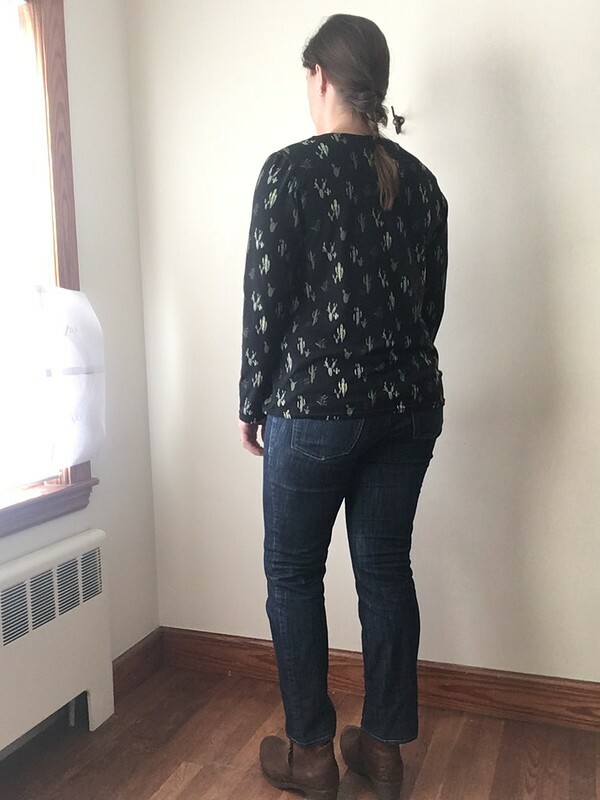 They spent a lot of time with my parents and me over the phone so I could get an idea of what they had and how it would pair with the sewing projects I had in mind. Then I picked out some swatches using their swatch service, which they quickly mailed to me. Once I picked the ones I liked, I sent the information to my parents, who ordered them (Yes! Thanks, Mom and Dad! ), and Fabrications sent them right out. 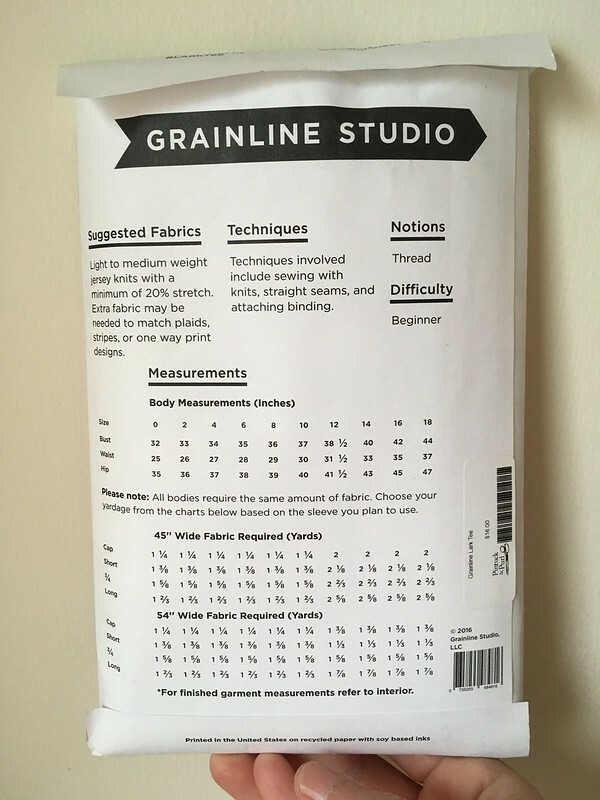 They also sent a handy little card that helps you calculate yardage for different widths of fabric. I love those little touches. Anyway, after my experience with them, I highly recommend the shop and hope to visit in person at some point in the future. The buttons I used were a mix of vintage and new, which is fun. The fact that the bottom button (the new one) is a slightly different color does bug me, but I decided to let it go. 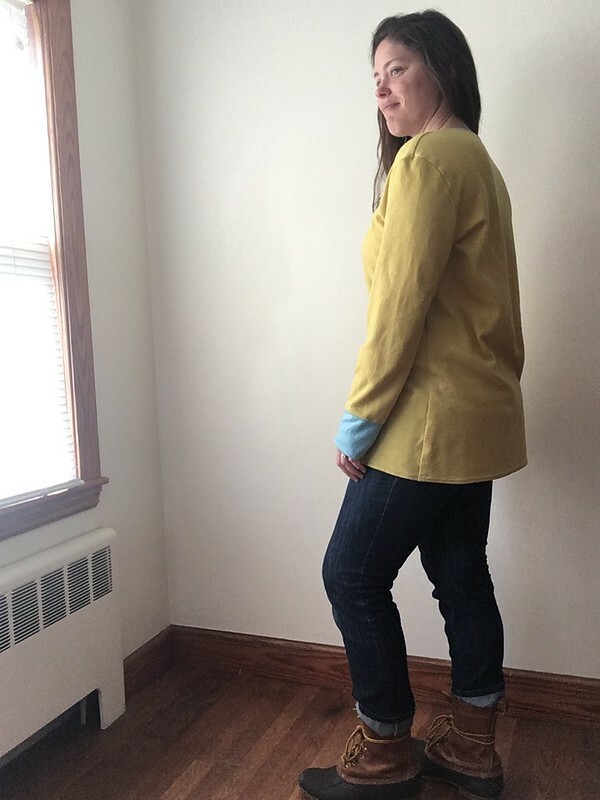 Finished is better than perfect (an important reminder when making this placket, too)! And that’s it! 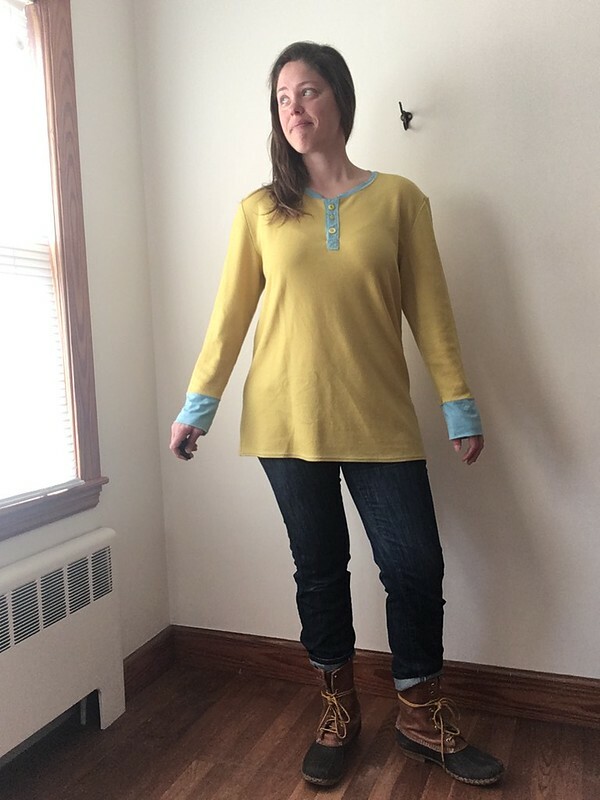 I’m so glad to finally have a henley of my own, made by me, with the oversize fit that I wanted. I love it. My winter wardrobe has gotten really good after a few years of dedicated sewing time. It’s a great feeling. I actually have some recommendations for you this week! 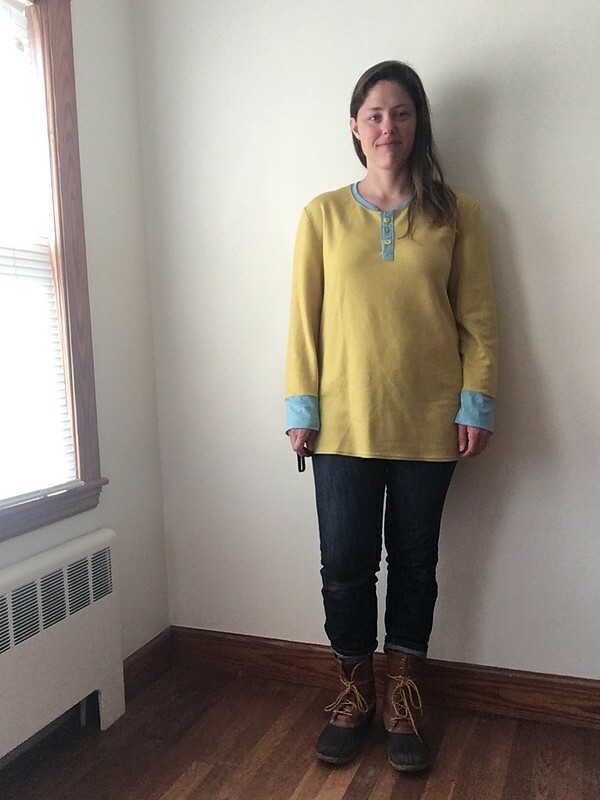 Soon after I finished this shirt, Itch to Stitch came out with the Visby Henley & Top, a women’s pattern for a raglan sleeve henley or top that also has a hood option. This is a pattern I’m thinking of trying next year. I’ve heard great things about this company. 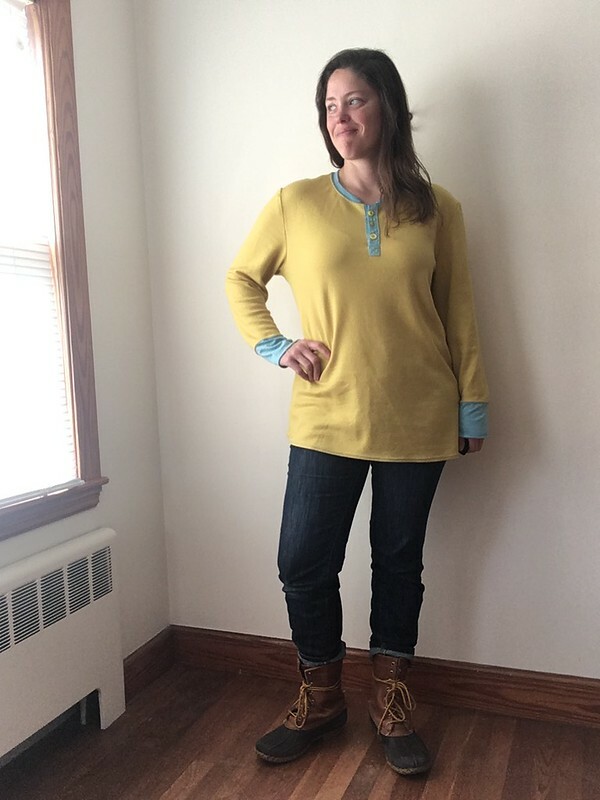 Well, you won’t be surprised after this post, but I really like the Plantain T-Shirt from Deer and Doe. 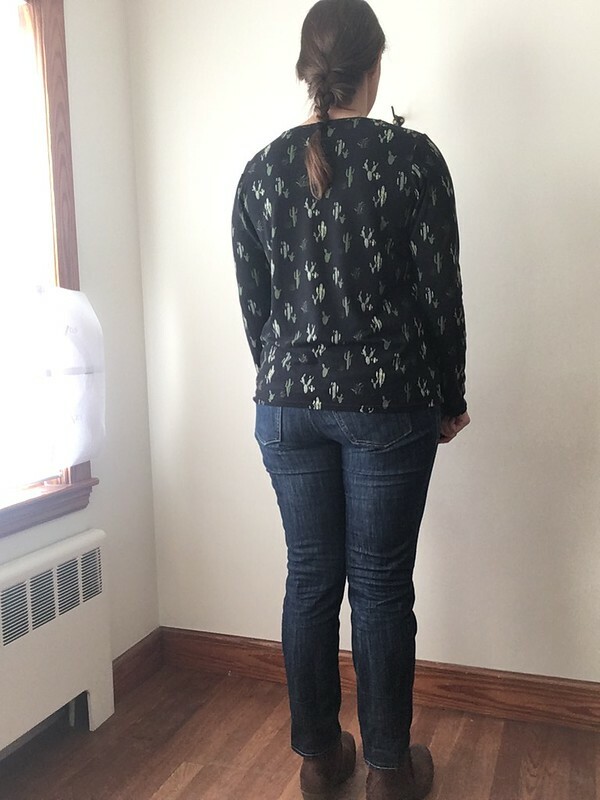 One of my friends kept telling me how much she liked this pattern, but I dragged my feet for a long time. 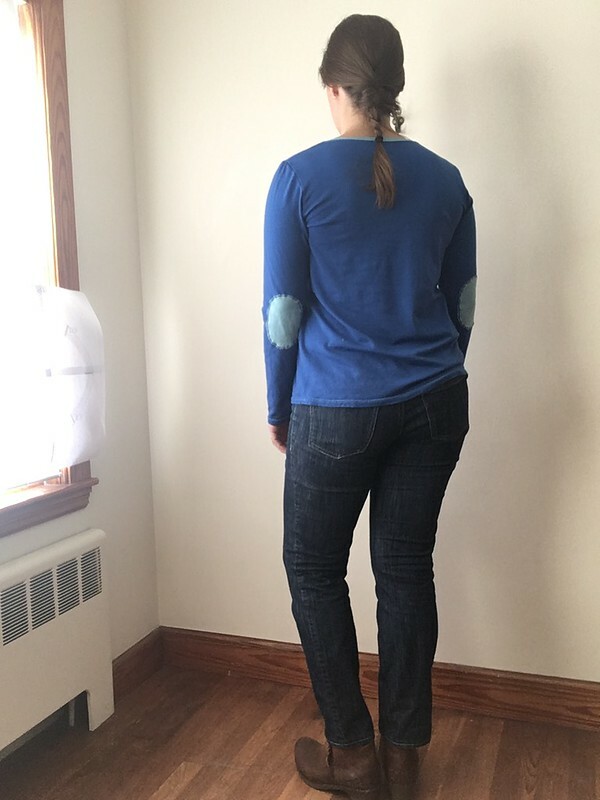 I am so glad I finally tried this FREE pattern. It’s excellent and just what I wanted. I’ve made two. Hopefully you’ll see them on the blog next month.